On this page, you will find RSS explained. 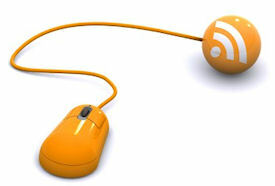 Use an RSS tutorial or two to understand how to use RSS feeds to your benefit. 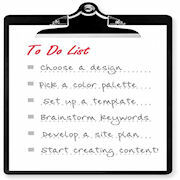 RSS, short for Really Simple Syndication, is something a lot of new webmasters (and even some more experienced ones!) often don't understand very well. But it is simply a family of web feed formats that are used to publish frequently updated works, such as blog entries, news headlines, audio, and video, in a standardized format. An RSS page (in XML web code format) contains full or summarized text from a webpage, along with certain metadata. As a website owner who is looking to have RSS explained, here's what you need to know: you benefit from an RSS feed for your site, because it allows you to syndicate and publish your website content all over the Internet... automatically. 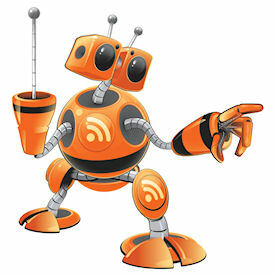 And another thing... the search engines love RSS! So all this sounds pretty technical, doesn't it? Well, it sort of is. But here's the thing... as with most website building functions, SBI makes it easy and eliminates the need for the webmaster to learn the techie junk. SBI makes everything easier... well, most everything anyway. But they definitely make working with RSS feeds easier. Basically, all you have to do is turn RSS on and SBI does the rest of the work in syndicating all of your content on your site (or part of it, if you choose that option). But they don't stop there... they also enable you to create a sort of blog out of your RSS feed, which is truly powerful. There are a ton of applications for that. If you've needed RSS explained in a way you can understand, hope I've given you a start. Now finish up learning how to use RSS feeds to your best advantage in an SBI website by working through the following RSS tutorials. On this page, you've had RSS explained in an introductory fashion. But the way to really learn how to use RSS feeds is to use the RSS tutorials. We've got you covered... you'll be syndicating your website in no time!